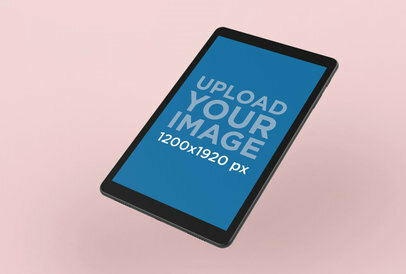 Make an Android Mockup, a MacBook Mockup or an iMac Mockup! 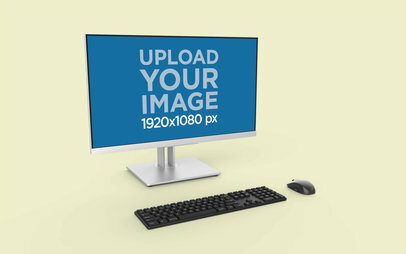 Learn about using all our Mockup Generators for your designs! 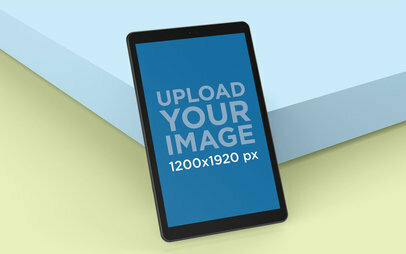 Create a gorgeous visual to promote your latest app or website using Placeit's mockups! 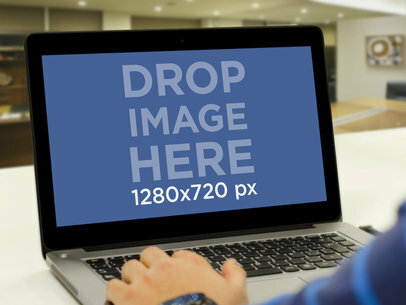 This awesome image is a great choice if you want to display your latest app or website using a gorgeous rendered Acer Aspire laptop. 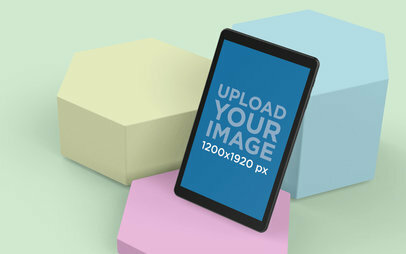 Start now, make your revenue grow by showing a lovely image from Placeit for your latest app or website! 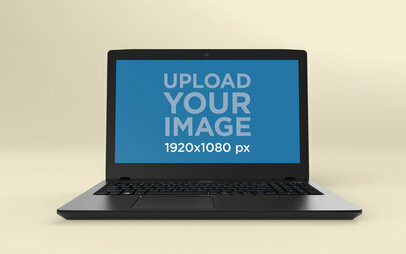 Create an amazing visual to promote your digital products using Placeit's laptop mockups! 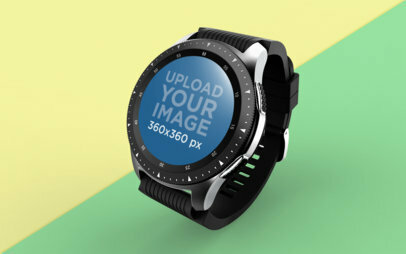 This cool visual is an excellent choice if you want to take your app or website's image marketing to the next level. 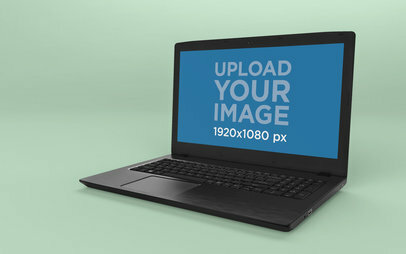 Start now, use this amazing visual and market your digital product using a rendered laptop mockup from Placeit! 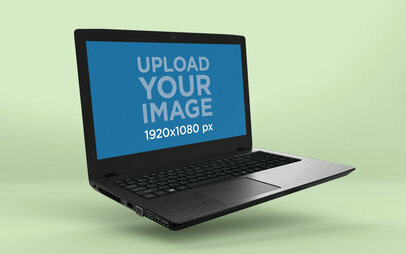 Create an amazing visual that your audience will love using Placeit's rendered laptop mockups! This cool image is an excellent choice if you are looking to make a visual that will cause a positive impact on your audience. 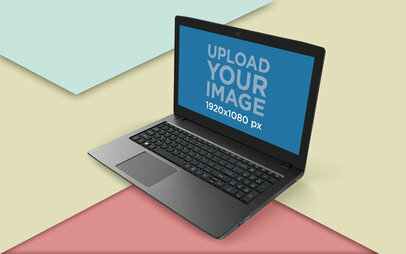 Use now this rendered laptop mockup by Placeit and get more customers to visit your site! Looking to promote your latest digital product? Do you have an app that needs more exposure online or do you want to update your digital advertising for a website of yours? 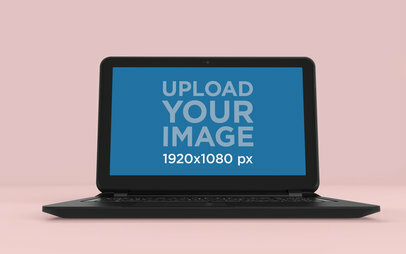 Use Placeit's laptop mockups! 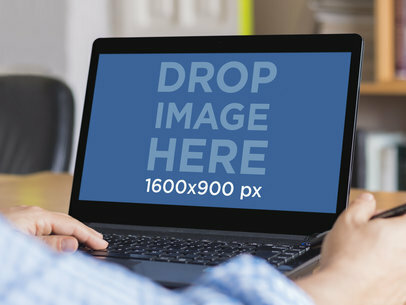 This laptop mockup is a perfect choice if you want to promote your latest digital product using a cool visual. 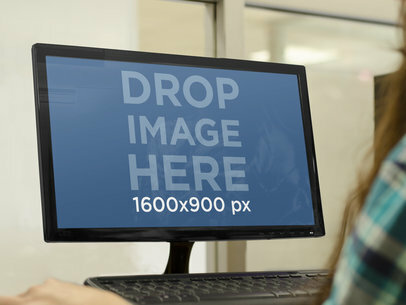 Create a gorgeous visual featuring a laptop standing on the corner of a floating paper with Placeit! 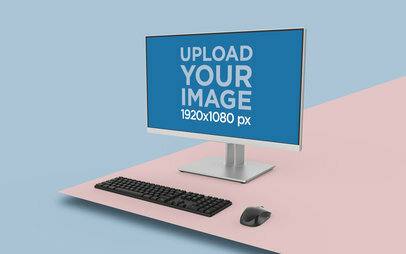 This mockup is a great choice if you want to showcase your latest digital product on a rendered visual with a gorgeous setup. 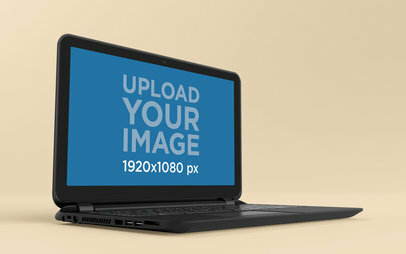 Start now and make your sales grow by promoting your app or website in this cool laptop mockup! A man is hard at work in his office or at a library on a black Samsung laptop. 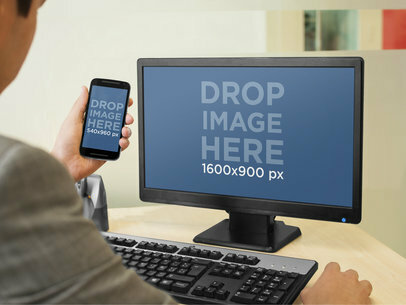 He is poised, confidant and ready to execute his assignment using your new website on his device. This is a common scene all young professionals can relate to in today’s modern society. 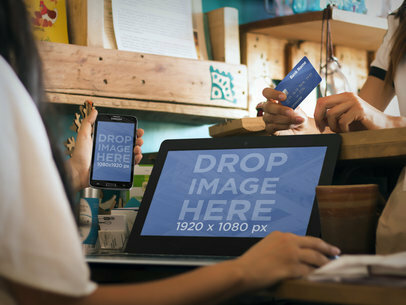 This mobile working environment themed template is a key resource in connecting to your consumers. 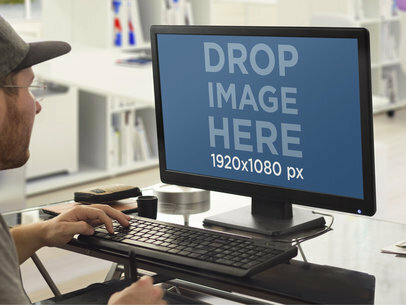 Allow this Placeit windows laptop template to create an amazing image and showcase your new website to potential clients. 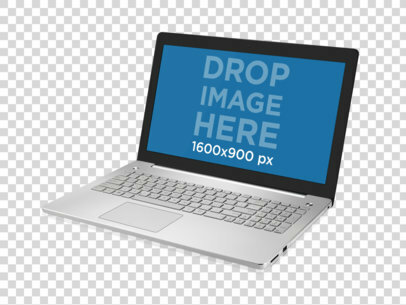 Simply drag and drop a screenshot of your website directly onto the Samsung PC laptop to create a polished image in a relatable context or simply type a URL above. 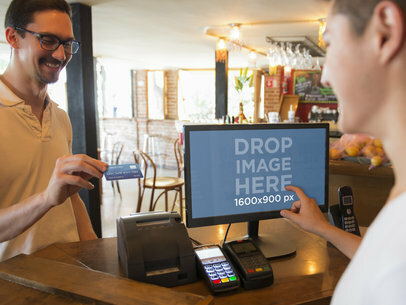 Placeit will automatically custom adjust it and deliver this image of a hard working young professional using your website to the public market place. Don't miss out on this highly effective marketing tool. Placeit can help you take your website of app to a new level today. 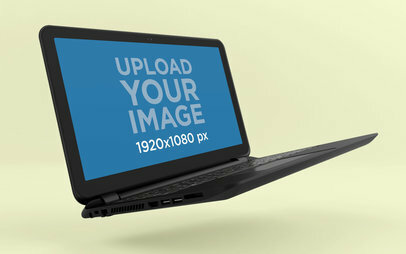 Take a look at this PC Laptop mockup! It presents the perfect template for you to display your new website or web app in a professional manner that will generate an impact on your users and clients. 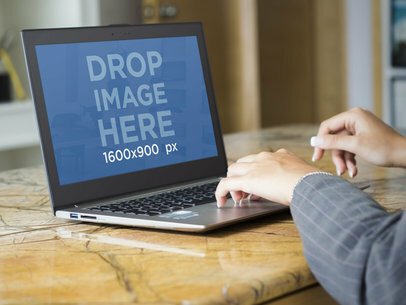 This Laptop mockup shows a beautiful silver laptop in an angled position over a clear background that allows you to make several applications of the image. 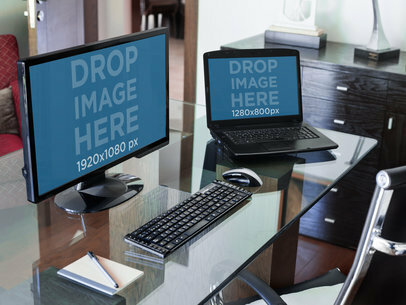 By using this Laptop template you will provide an insight on your new website or web app's design and features, use PC mockups to enhance your online marketing strategy! All you need to do is drag a screenshot of your website directly into the PC laptop and Placeit will automatically adjust it, or simply type your URL above. 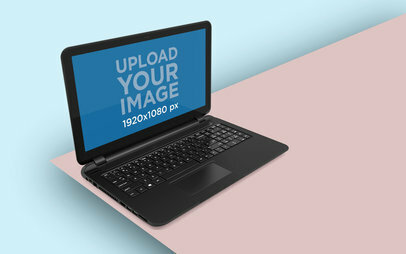 Try it out right away and make sure to share your PC Laptop mockup with business partners, clients and potential users. 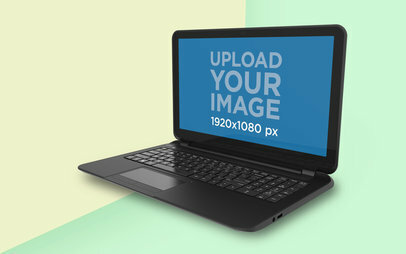 Bring your product to life with the LG G3 smartphone and HP Laptop mockup generator. Both devices are shown here, the LG G3 is being held by this young woman in portrait position. Show end users the versatility of your product as a professional endeavor on the laptop, or as a portable escape from their mundane everyday activities on a smartphone. The earth tones within this template provide an excellent contrast to any digital image and will draw the focus of consumers directly to your product. 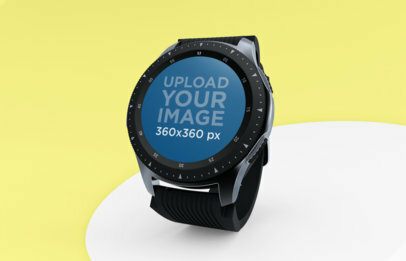 Not many products have the versatility that your android app and website offers; you know it, and it's time to help clients see this opportunity clearly as well! 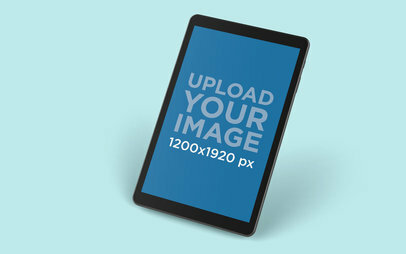 Drag a screenshot of your image onto one or both of the devices shown here to bring your product to life! 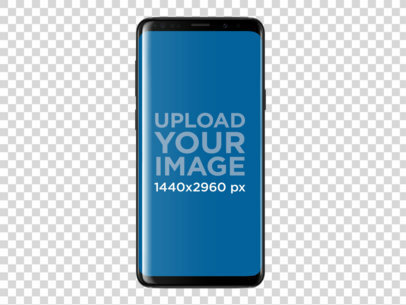 If you've got your image in a URL instead, select "Grab Screenshot From URL" above the image, and type in the URL when prompted. Voilá! By showing your clients how your product will look in their daily lives, you are helping them to see how much they truly need what you're offering. 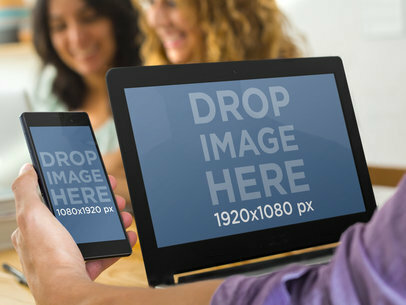 Do you want a beautiful mock-up template to market your new website or app? This multi device Placeit template is just gorgeous. 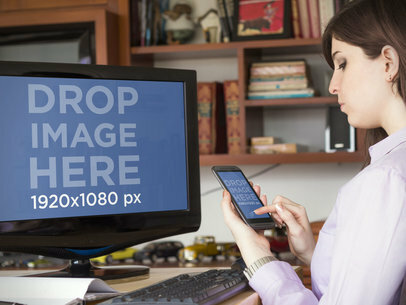 It features a young lady sitting at a natural wood dinning table, she is working on a black PC laptop in angled landscape position as well as a black HTC smartphone she cleverly holds out in angled portrait. 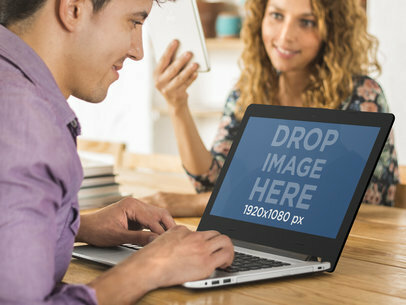 A stunning floral arrangement sits just behind the laptop’s screen, making this template fresh and genuinely eye-catching for your target market. She could be planning a garden wedding, a tropical honeymoon or a fun baby shower using your new website or android app. See your website and app showcased in beauty by simply dragging and dropping a screenshot of your android app or mobile responsive website directly onto one or both of the device screens. Or click "Grab Screenshot From URL" above the photo and type in the URL when prompted. 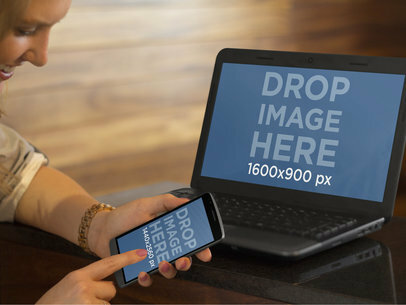 Placeit will perform the dimensional alterations for you, and the scene will instantly come to life in this Laptop and HTC smartphone mock-up template. Entice your potential customers today with Placeit smart marketing tools custom designed specifically for you. Get a perfect side by side comparison of your website and your app with this tablet vs laptop stage. 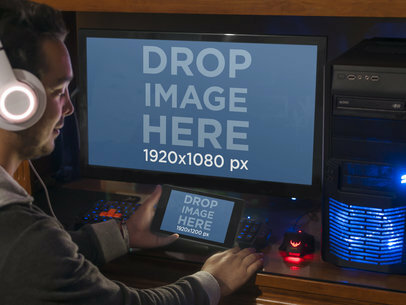 The tablet will allow an 800x1280px image in its screen set to portrait view, and the laptop will allow an image of 1530x960px. They are set on a white backdrop with subtle reflections on the white surface. 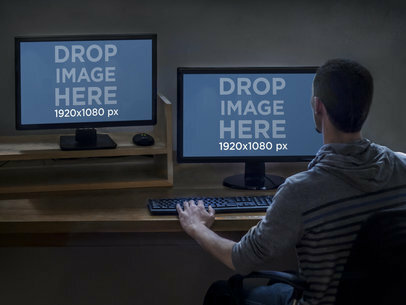 This is great to test the look of your mockup in two different setting. Do you have a website or provide a service that is designed for business professionals? Then what you need is a fun online marketing tool for your business to grow and expand. That's where Placeit's mockups and templates come in. Take this scene for example. It features two young professionals collaborating on an important project. 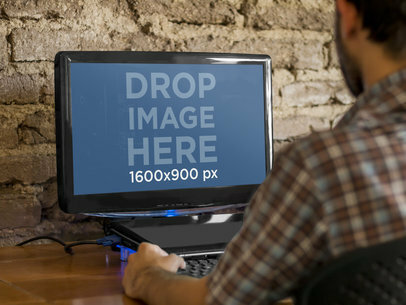 The young man is working on his Asus Laptop and that laptop's screen is positioned perfectly for your use. 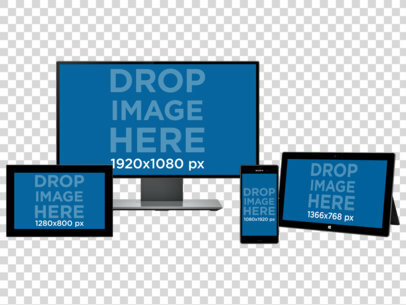 Just drag and drop a screenshot of your website or web app directly into the PC laptop's screen and it will adjust automatically; you will be able to download the image and that's it! You have created a fun promotional tool in just a few seconds. Share this image with potential users and clients as a part of your online marketing strategy. Get ready to leave a lasting impression on your target audience with this sophisticated Asus Zenbook Placeit mockup template. 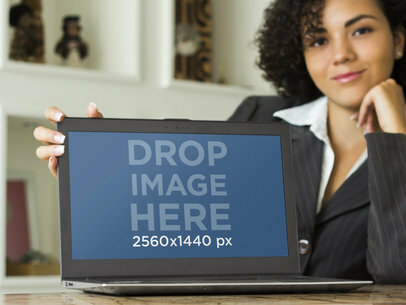 There truly is no better way to frame your website in success than with this polished scene of a young professional business woman showing off your product on her Asus Zenbook in landscape position. 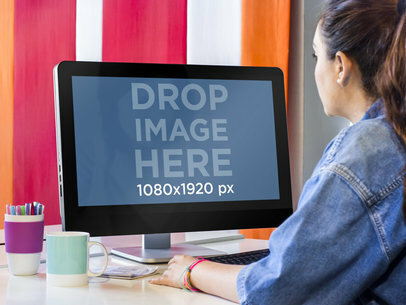 She confidently sits behind it, dressed in a crisp black pinstriped suit and white collar shirt, slightly fading away into the background as your website takes all the focus in this perfectly designed template. She can’t wait to show off your website to her boss, coworkers and the world. Doesn’t she look smart and accomplished behind your website? 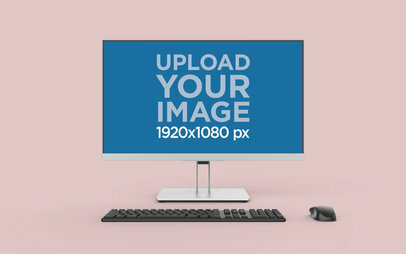 Don’t miss out on this one, just drag and drop a screenshot of your new website directly onto the screen or type a URL in above and Placeit will automatically adjust it for a custom mockup. 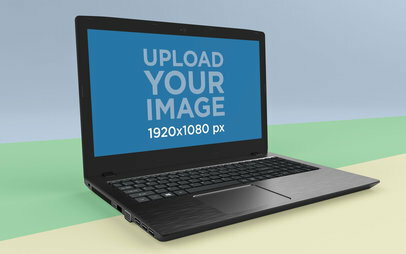 Download your Asus Zenbook Placeit template and put your Placeit marketing plan into action today. 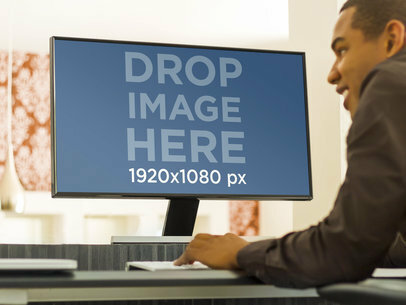 This PC mockup provides the perfect work environment you were looking for to display your brand new website design and features. App and web marketing are definitely a major task to complete in order to achieve visibility and success for your webapp or website, and Placeit is here to save the day with mockups like these, which allow you to upload your own screenshot or even just type the URL of your website to create a fantastic and original laptop mockup you will be able to share with coworkers, partners and most importantly, your users! This will definitely put your site on the map in a clever way. 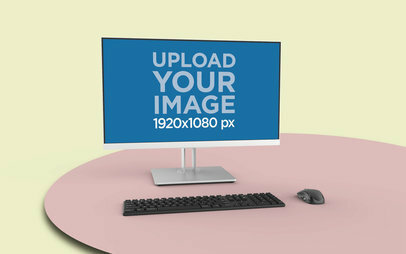 Try out this PC mockup right away! If young, successful professionals are your target market then this Placeit Asus Zenbook laptop template is the perfect choice to showcase your new website. 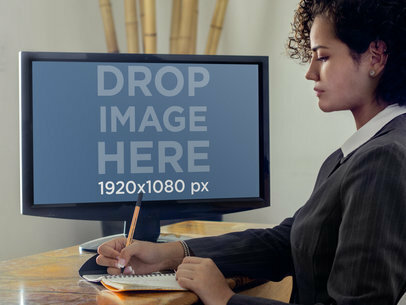 This expertly designed scene features a smart, young businesswoman sitting at a marble desk and working diligently on a black and silver Asus Zenbook in landscape position. She could be preparing for a business meeting or conference call and needs your new website to get the job done. 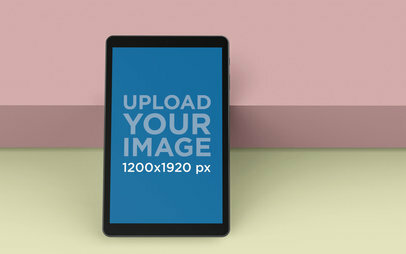 See this sleek, contemporary scene frame your new website by creating a custom mockup. It's quick and easy. 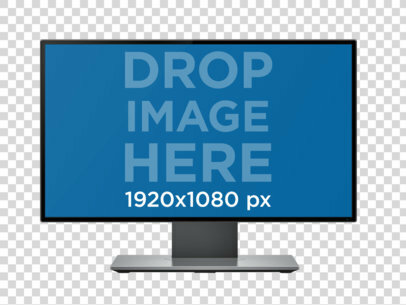 Simply drag and drop a screenshot of your website directly onto the screen in the template or click on the ""Grab Screenshot From URL"" button above the photo and type in the URL so Placeit can do it for you. 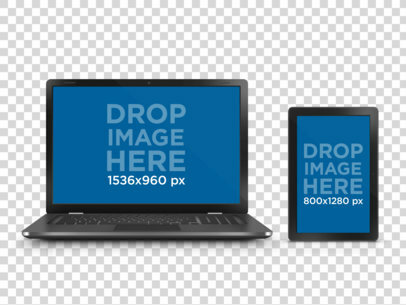 This Placeit Asus Zenbook marketing template takes your website to the next level. Don’t let your website get lost, create a professional presence and claim your spot in the marketplace with Placeit marketing tools today. 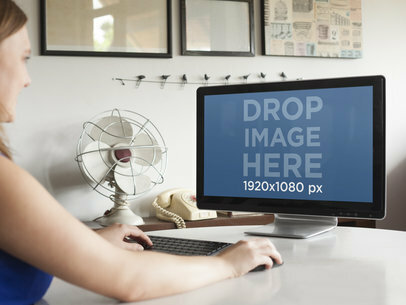 Show off your new website on this PC screenshot mockup on a wooden table. 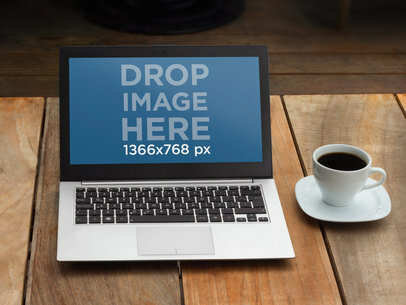 Next to the open laptop sits a cup of coffee on a pristine white saucer to contrast with the dark wooden surface. 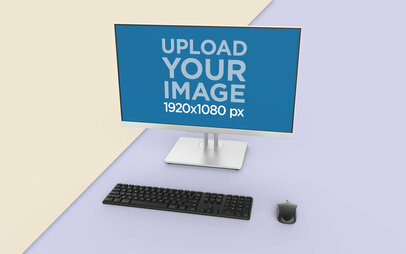 The PC mockup allows for a screenshot of 1366&#215;768. This is great for any type of website. It would be best for a site with a simple and eclectic design. A business woman is taking notes at a meeting. Next to her a laptop sits facing forward. 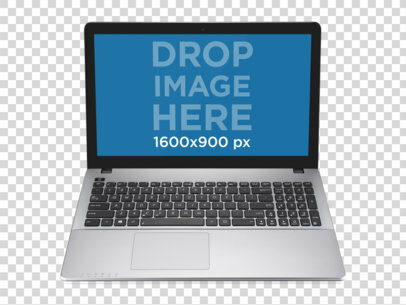 You can set your website mockup on the laptops screen. 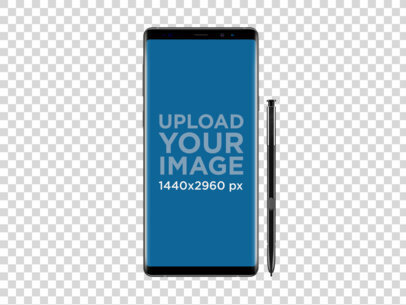 An image of 1366x768px fits perfectly on this screen. 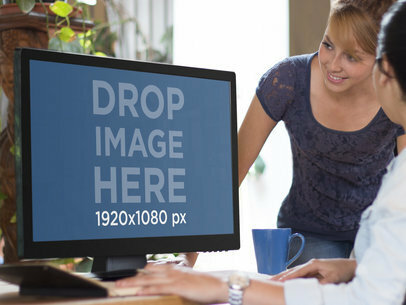 This is great for business websites.